If you are into Social Strategy Games, Soldiers Inc. is a new one to add to your experience. It stands apart from other Facebook application games because of its great presentation, be it, Jesper Kyd’s music, visuals of the game design including the resource collection and base building. The game proceeds quite smoothly. The background is set in Africa, and the time is 2019. It shows the Republic of Zandia, which is under social unrest due to continuous attacks from all countries trying to collect resources from the grassland. It’s a fantasy play of the tropes and sci-fi traps. There is Mr. Black, an unfriendly guide who will monitor and train you throughout the game but with an enchanting voice- over which is quite a surprise in such kind of games. Once you click in, you are pushed forward into the work of building the base, keep collecting the resources; get into few combats with PvP. But here you don’t get access to the fortune telling screen like Vega Conflict that keeps you aware of your stats. In Soldiers Inc., maintaining your stats at a decent order will cost you money. But it will get replenished by a quickened construction, a healing touch and training every now and then. To make yourself more comfortable you can invite other players. Or you can create alliances to strengthen your team. Finally your goal has to build up your stats, enough to shun down the opponent parties in this virtual warfare. 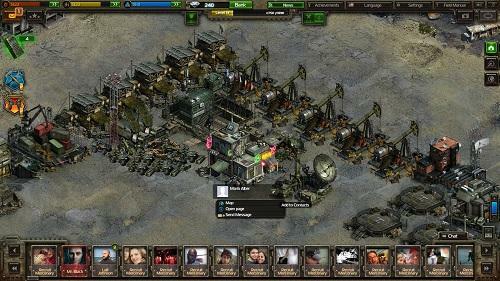 Soldier Inc. blends familiar sequences with stunning details of models of military camps and vehicles. The background appears to be a little drab lacking bright colors. But that is again what suits best for the warfare surrounding. The UI design isn't that striking. What feels out of the tune is the mismatching visuals that is used with the audio. The background of Republic of Zandia raise hopes which is not really met with the overall game plan, its integral features and its standard. Finally you feel it to be a little humdrum at the endpoint. 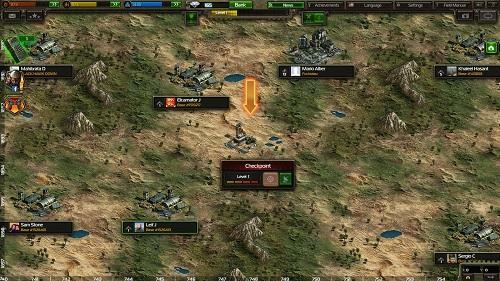 Despite few backdrops, Soldier Inc. has the power to make you sit at the edges and fight through the game. Especially when you virtually visit Africa, the visuals engulf your attention and you could find yourself amidst the contemporary scenario. While playing, you can get an easy access to numerous people to fight for you and it will not be a difficult task to score high and manage your stats. The units are multiple in number and they add up more spice to the entire show. Your venture in African background, the Republic of Zandia creates an atmosphere of creating pictorial pages in a history book. As a social strategy gameplay, Soldier Inc. stresses much more on the micro transactions which sometimes gets too greasy. In other words, Soldier Inc. is widespread and popular for its total output as a Facebook Social Strategy Game. It may remind you of Plarium’s other social strategy games found in Facebook applications.